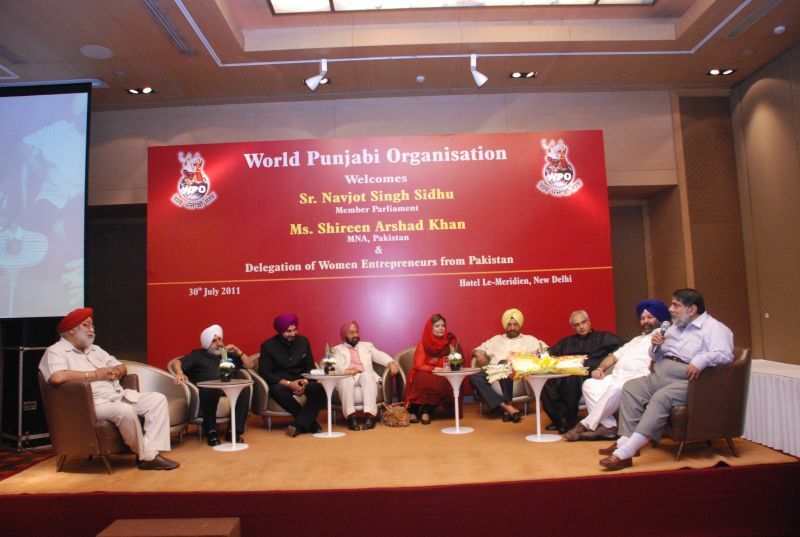 WPO organise a dinner reception in honour of Sr. Navjot Singh Sidhu, Member Parliament, Ms. Shireen Arshad Khan, Member National Assembly, Pakistan and a Delegation of Women Entrepreneurs from Pakistan on 30th July, 2011 at Hotel Le-Meridien, New Delhi. 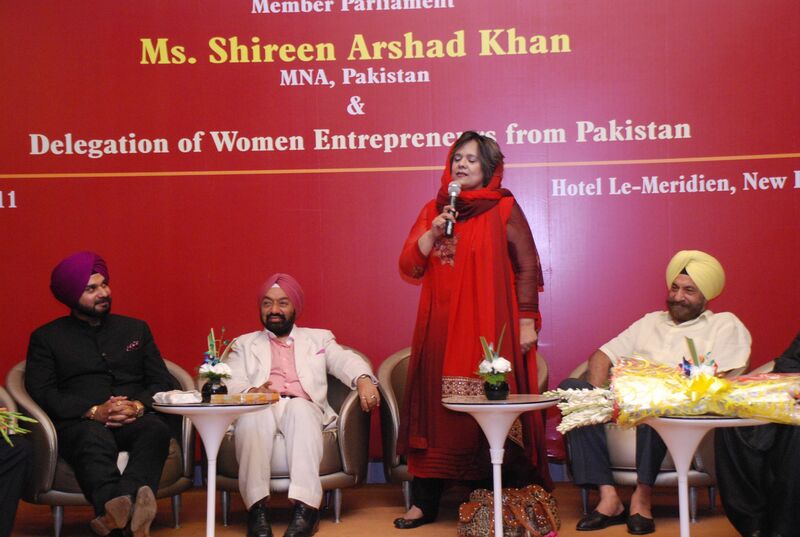 women entrepreneur from Pakistan under the leadership of Ms. Shireen Arshad Khan, Member National Assembly, Pakistan. 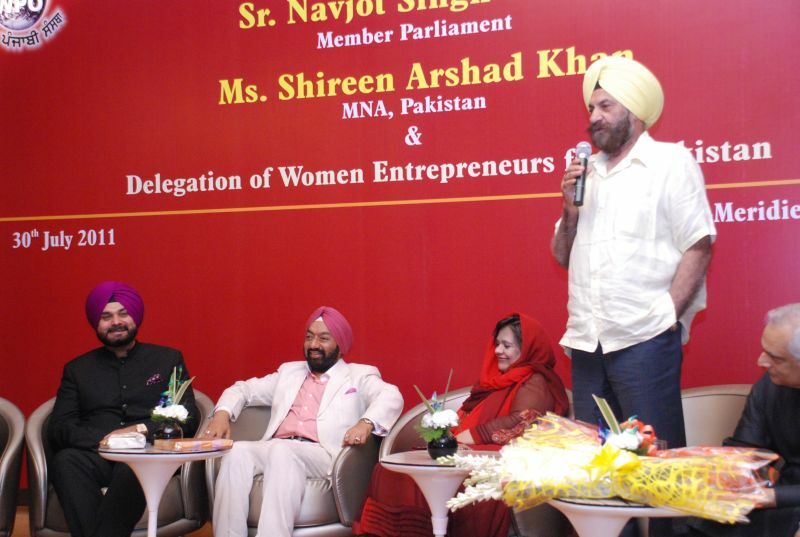 The event saw a galaxy of stars including Navjot Singh sidhu, Member of Indian Parliament; H.E., Shahid Malik, High Commissioner of Pakistan; Dr. Rajiv Kumar, Secy. 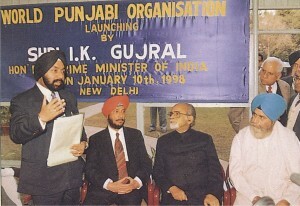 General, FICCI, Dr. Sheel Kant Sharma, former Secretary General, SAARC Secretariat; Sr. Tarlochan Singh, former Chairman, Minorities Commission and people from different walks of life. 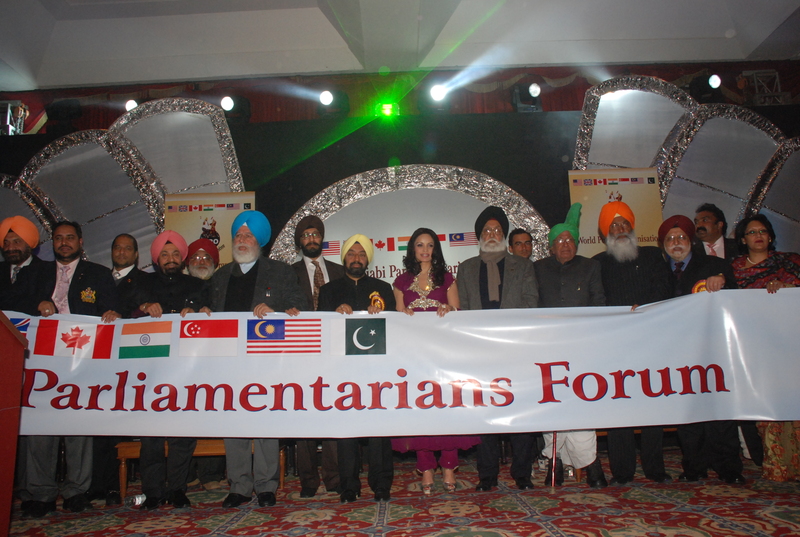 Closely on the heels of visit of Ms. Hina Rabbani Khan, foreign minister of Pakistan to New Delhi, the event had a strategic meaning with both the countries making all efforts to see a durable and sustainable regional co-operation and peace in the region. 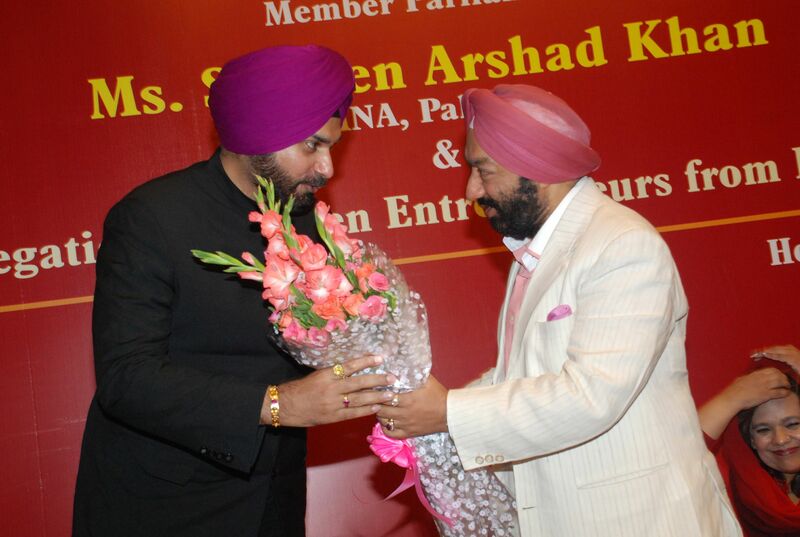 Efforts were also made to accelerate economic transact between both the countries as the pakistan delegation experienced an extremely fulfilling showcasing of their handicrafts for commercial gain. 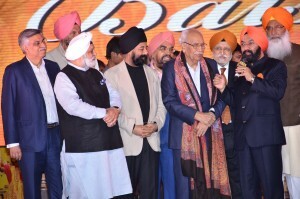 Speaking on the occasion, Vikramjit Sahney, International President, World Punjabi Organisation, stressed that flourishing culture and economy between both the nations is the key to consolidating the fragile unity that is too deep rooted to be torn apart by vested interests. 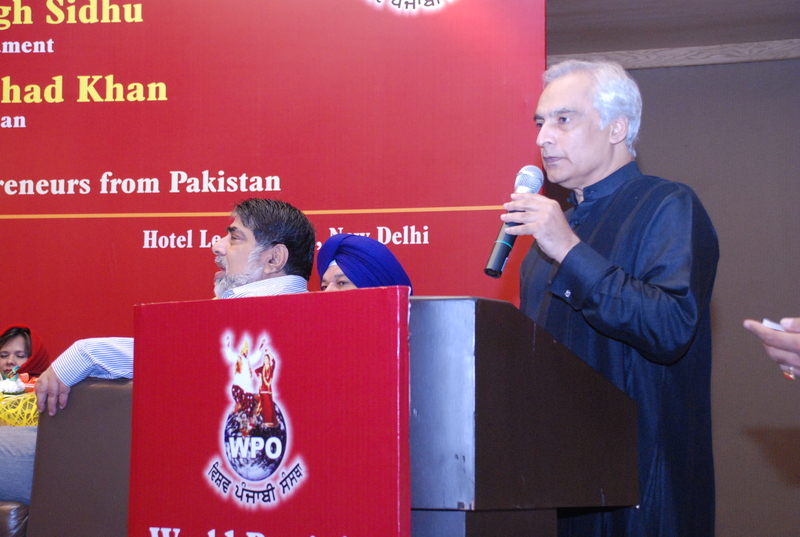 We must quest for stability in the region by getting rid of terrorism and extremism thus creating conditions for rapid development and social harmony. 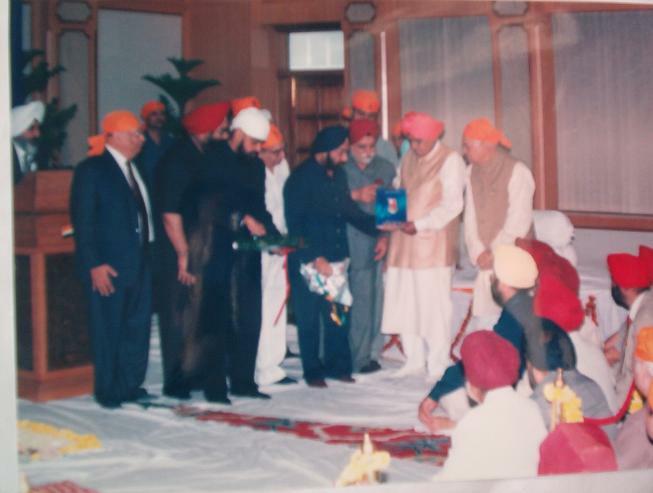 We have the will and determination so we shall succeed. 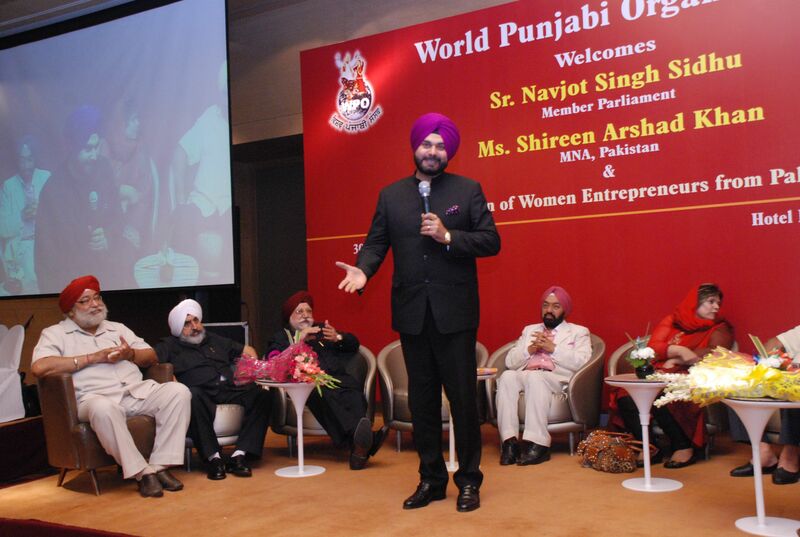 On this occassion, Navjot Sidhu was felicitated on the prestigious platform of WPO and true to his personal style, he enthralled the august gathering with his most interesting quotes that were being thrown as bouncers in all directions. 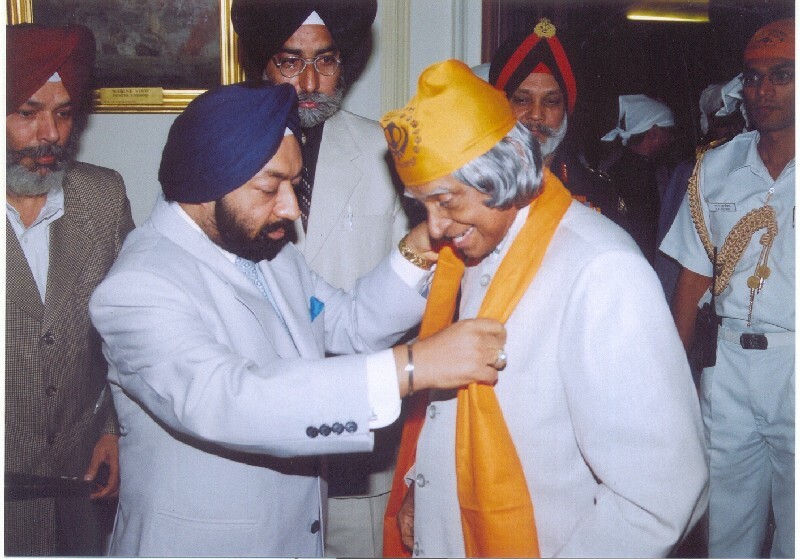 He stole the show with anecdotes, inspirations and laughter – all weaved in one. 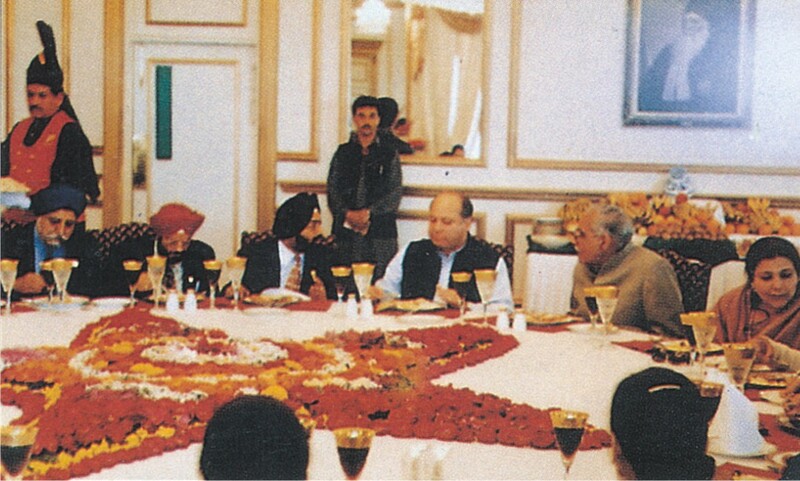 his response to the overwhelming appreciation received by the dignitaries was, ”Mein Mitti Meri Zaat Vi Mitti, apne wal wekhan te kuch nahi palle, Upar wale di rehmat te tuhade pyar wal vekhan te Sidhu di balle balle!” he further added, “Prem parichay ko pehchaan bana deta hai, khiza ko gulistan bana deta hai, Prem insaan ko bhagwan bana deta hai. 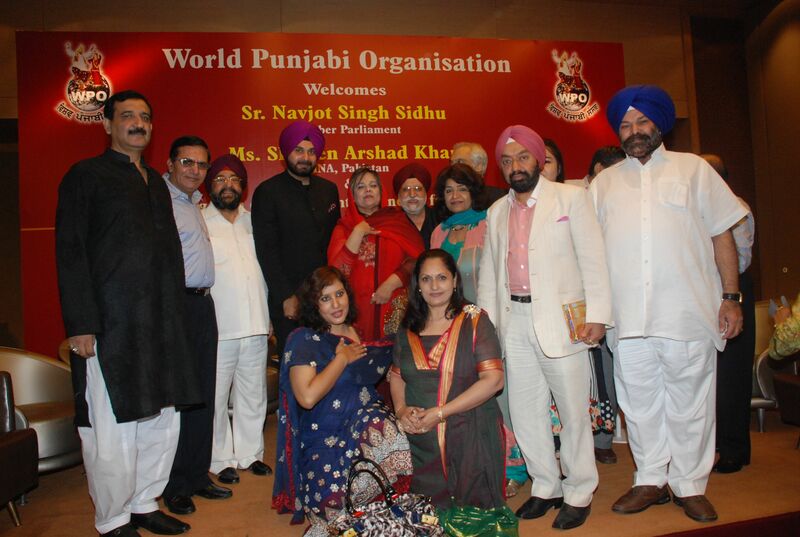 The programme had a melodious flavour with beautiful rendition of songs from the 60’s and a sumptuous meals that had the taste of Lucknow and Peshawar to every guests’ delight. 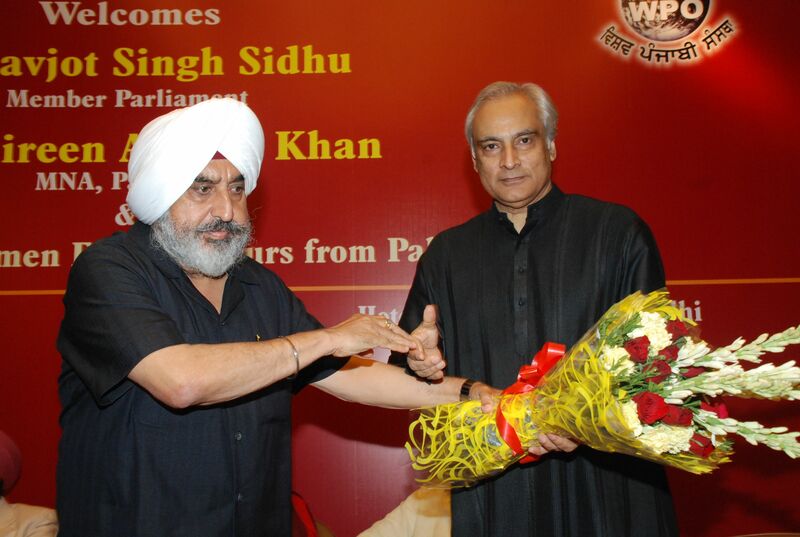 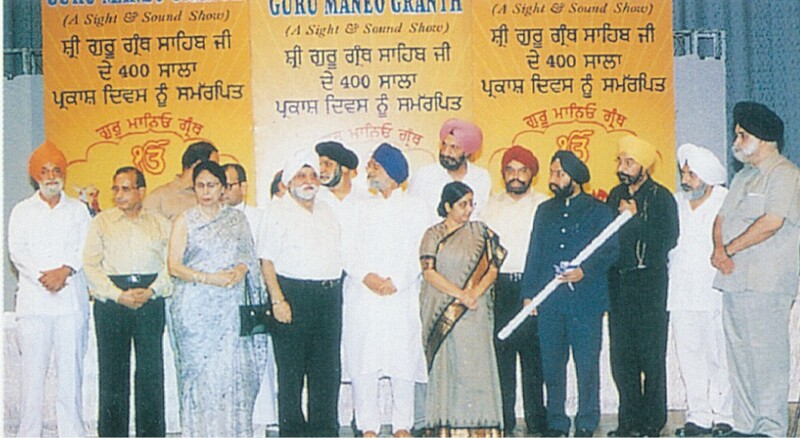 Sr. Vikramjit Singh Sahney, International President WPO felicitating Sr. Navjot Singh Sidhu ji Member Parliament. 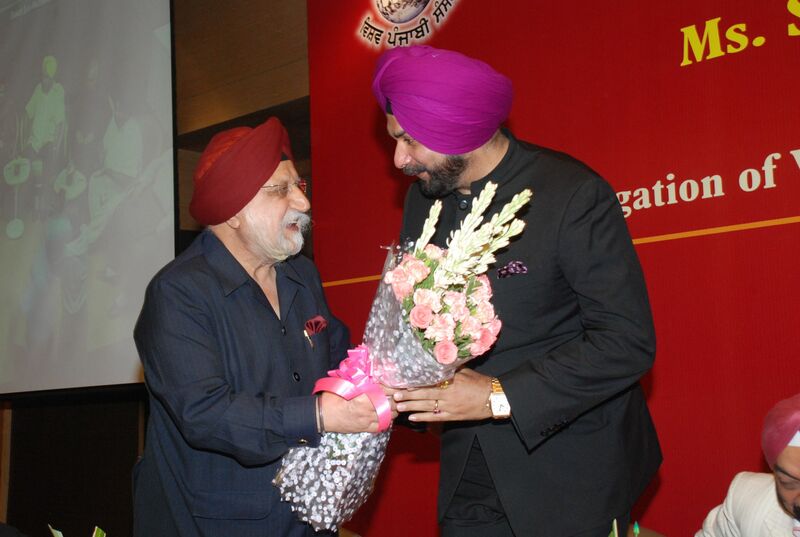 Sr. Navjot Singh Sidhu being greeted by Sr. Bhupinder Singh Anand Chairman, National Affairs. 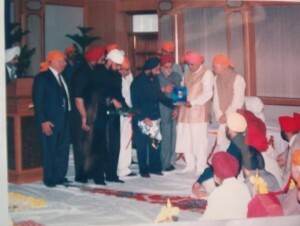 Sr. Amrit Singh Thapar Secretary General WPO felicitating H.E. 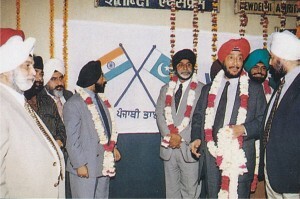 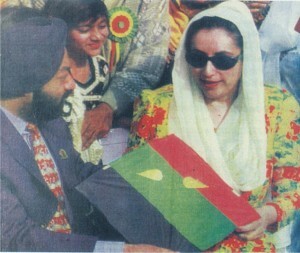 Shahid Malik High Commissioner of Pakistan in India. 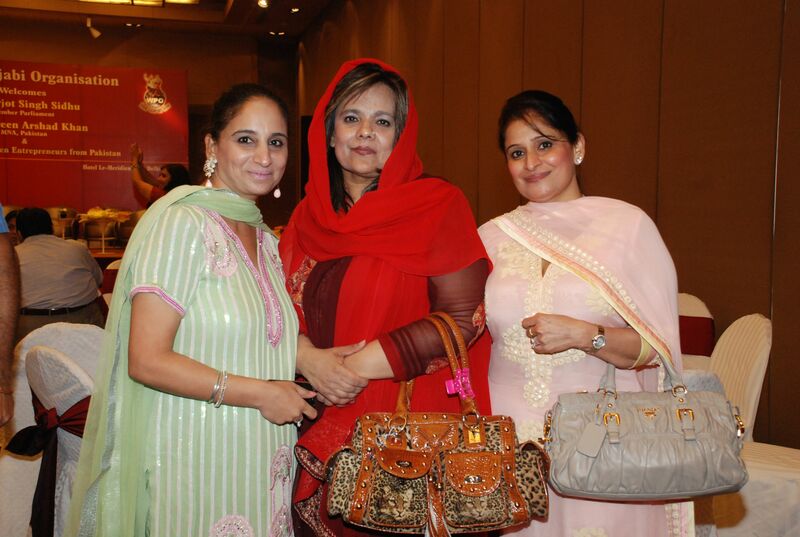 All Smiles (From L TO R) Mrs. Daisy Sahney, Mrs. Shireen Arshad Khan & Mrs. Meenu Banga. 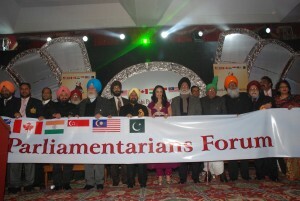 Ms. Shireen Arshad Khan MNA, Pakistan, presenting her point of view. 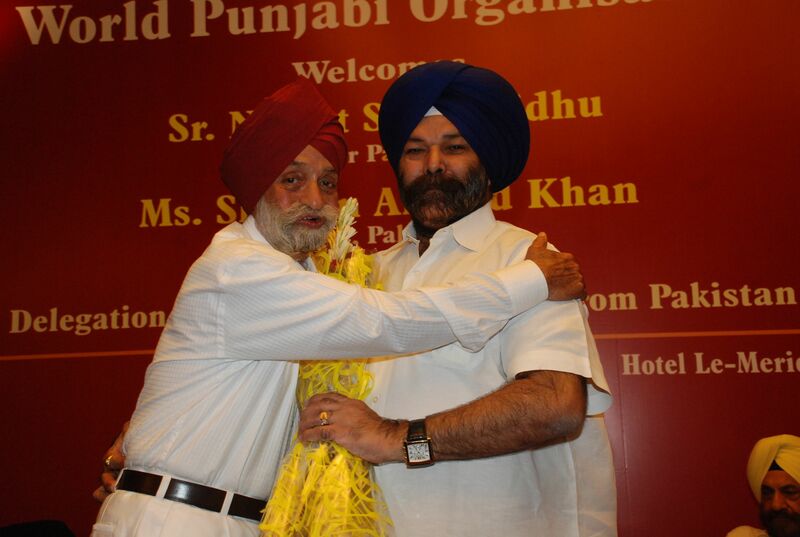 Sr. Harcharan Singh Sethi, Vice President, WPO felicitating Onkar Singh Thapar, Chairman, Punjab Industrial Development Board with a bouquet. H.E. 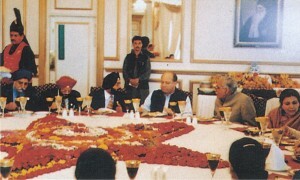 Shahid Malik sharing his valuable viewpoint. Sr. Tarlochan Singh expressing his view on Indo-Pak business relations. 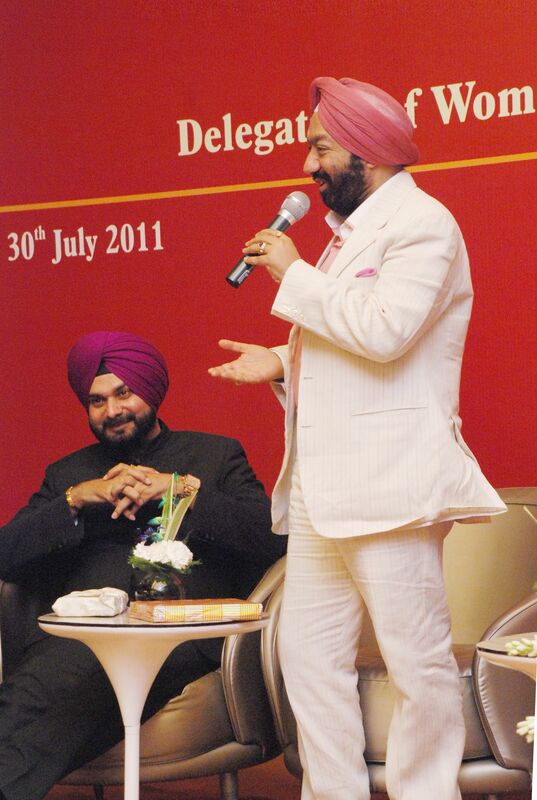 Sr. Navjot Singh Sidhu at his witty wit. Sr. Vikram Sahney at his usual best.